Poll: Should there be OpenGL 2> support? 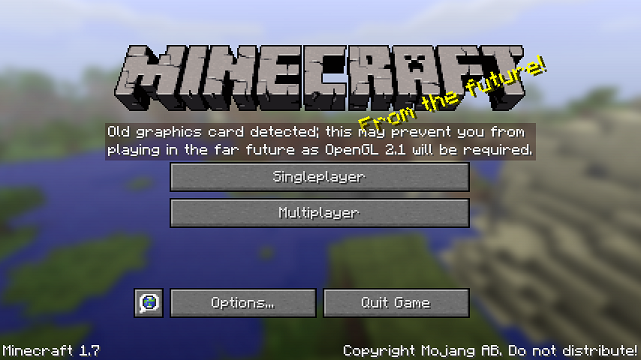 If you have a laptop with OpenGL 2.0 or less, there will come a day when you will not be able to update Minecraft. There should be a version compatible with OpenGL 2> so that some users may continue enjoying this amazing game.